Protecting your family is becoming more of a struggle in these challenging times. Let us help. Our security systems provide our clients with the peace of mind knowing their family is protected whether at home or away. With central station monitoring, you will be notified of an intrusion, or with various sensors, perhaps a carbon monoxide issue or other problems. Smoke detectors can also be included to provide another level of property protection. 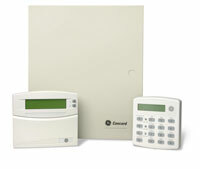 We install both Honeywell and GE, 2 leading manufacturers in the security industry. Call us and set up a “no charge” visit to your home and assess your security needs. We will then design a system just for you. We don’t provide “phone quotes”. This ensures you will get what you need to provide the protection your family deserves.